The Adventure Auction is now only THREE DAYS away! See legendary blues-rock guitarist Eric Clapton with fellow rocker, and former member of Traffic, Steve Winwood live in concert with two tickets to the Value City Arena in Columbus on Monday, June 15. Clapton is a world-renowned musician and incendiary guitar player who needs no introduction. In 2000, became the first ever three-time inductee in the Rock and Roll Hall of Fame for his work as a solo musician, as well as his contributions to The Yardbirds and Cream. With diverse chart-toppers that span genres like reggae (Bob Marley's “I Shot the Sheriff”) Delta blues (Robert Johnson's “Crossroads”), pop (“Tears in Heaven”) and, arguably, his greatest hit “Layla” – it’s no surprise. 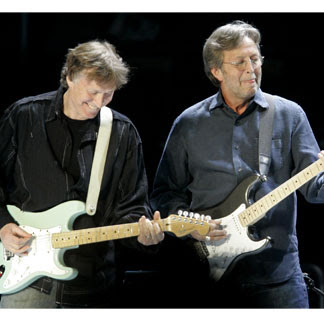 Clapton and Winwood will play Columbus after a historic three night stand at Madison Square Garden as part of an exclusive 14-city tour of the US. This year marks the 40th anniversary of their first musical collaboration in the super group Blind Faith. Experience the thrill of tandem sky diving as you jump from an aircraft at an altitude of more than 11,000 feet! 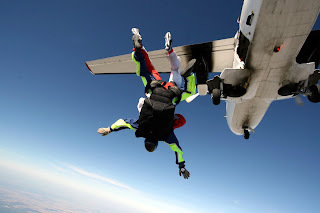 With this package, you will freefall at 120 MPH with an instructor from Tri-State Skydivers, before gliding to earth on a serene parachute ride. Participants must be 18 years or older to experience this adventure. Travel to Wheeling, West Virginia to play 18 holes at Oglebay Resort. Oglebay is a true golfer's paradise, featuring 36 holes of championship golfing. Choose between two famous courses designed by Arnold Palmer and Robert Trent Jones, Sr. and hit the links. Oglebay will provide challenges and spectacular scenery to please any golfer! After your golf game, enjoy Italian cuisine at Undo's Familia Restaurant located mere minutes away from Oglebay. This package for four includes cart rental at Oglebay and a golf style umbrella from USEC. According to Time Out New York, "David Sedaris may be the funniest man alive." With sardonic wit and incisive social critiques, David Sedaris has become one of America’s pre-eminent humor writers. In addition to being a best-selling author of books including “Me Talk Pretty One Day” and “Dress Your Family in Corduroy and Denim” the renowned humorist is also a contributor to the New Yorker and Esquire magazines, as well as a regular commentator on National Public Radio. This package will give the opportunity to experience Sedaris’ unique wit in person, when he makes an appearance at Templeton Blackburn Alumni Memorial Auditorium as part of Ohio University's Performing Arts Series. 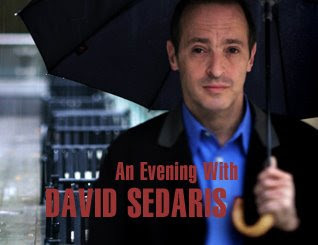 The performance, which is being billed as “An Evening with David Sedaris” is on April 7, 2009. The show will begin at 7:30 PM with a book signing to follow. Before the show, you can enjoy dinner at the exquisite uptown restaurant, Zoe’s, and then head over to College Green for an unforgettable evening of hilarity. We have over 150 confirmed guests and volunteers coming out to support Rural Action this Saturday, and the tickets that are left are going fast. If you've already bought your ticket -- we thank you for your support. If you've been biding your time, the last minute is here! Purchase tickets online right now on the Adventure Auction website, or call our offices during the day (740.767.4938). 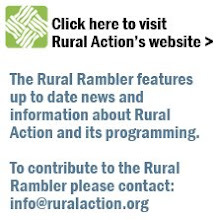 If you have any questions, you can either visit the Adventure Auction website or email Calaina Goodyear (cgoodyear@ruralaction.org) or Jordan Vincent (jordan@ruralaction.org).